Meet the inspiring woman who’s so much more than just the #BestFacePH. This isn’t 21-year-old Trisha Duncan’s first time in the limelight. The print and commercial model has been the face of many brands since she was a kid. And while her modeling career has a long list of achievements, Trisha considers being the MAAT Golden Ratio Search Philippine Representative as a special, once-in-a-lifetime opportunity she’s thrilled to have been given. A friend had suggested that she submit an entry to the region-wide search that aims to highlight the beauty and diversity of Asian women. The program, made by global pharmaceutical company Merz Aesthetics, does not base beauty on ethnicity or personal preference, but on the science of facial measurements. This includes the golden ratio (or divine proportion), which we are all apparently hardwired to find attractive. 21-year-old student and model Trisha May Duncan may have the most proportioned face in the Philippines. After weeks of deliberation and participating at a beauty workshop where the panel of experts got to meet the top finalists, Trisha came out as the Best Face of the Philippines. Of course, the fact that her facial proportions are closest to the golden ratio was a huge factor, but her confidence and attitude further distinguished her from everyone else. Trisha’s strong spirit and tenacity was born out of the challenges she’s faced. Looking at her now, you wouldn’t think the always-smiling Trisha is one of the only five survivors in the country of a rare autoimmune illness. In 2015, she was diagnosed with lupus and had to undergo months of chemotherapy. “There was a time when I felt ugly—it’s something that all of us feel at some point— but I chose to honor that pain and make something beautiful come out of it, and become the better woman I am today,” Trisha points out. Going through such a tough experience has actually helped her be more self-assured. “It has definitely changed my outlook in life,” says Trisha. “I am so grateful to be healthy and doing well today, living with renewed confidence in myself.” With her representing the Philippines, Trisha shows Asia what gandang Filipina looks like, and continues to inspire other women to be the best version of themselves. The MAAT Golden Ratio Search program was created by Merz Aesthetics. 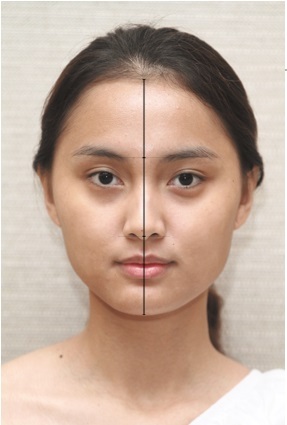 It runs in 10 countries all over Asia, to find the most well-proportioned faces in the region. 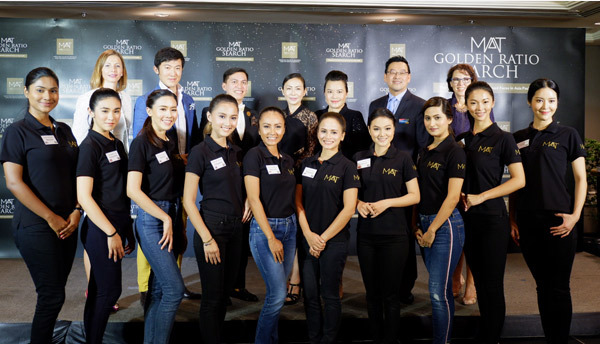 The program aims to change the underrepresentation of Asian beauty and celebrate its diversity by applying concrete measures not influenced by social or cultural factors that are to define beauty. The participating countries’ Golden Ratio Search Representatives were presented at the International Society for Dermatological Surgery (ISDS) in Bangkok, Thailand. For more information about Ultherapy, check their Facebook page here.